Années de pèlerinage II, supplément, S. 162 "Venezia e Napoli"
Fire and passion, rhythm, and pulsating joie de vivre: that's what virtually jumps out when you put Mirjana Rajic's GENUIN debut album into the player and press "play.” There are original Balkan beats by Marko Tajcevic, nobles et sentimentales from France by Maurice Ravel as well as unworldly romantic frenzy by Robert Schumann. 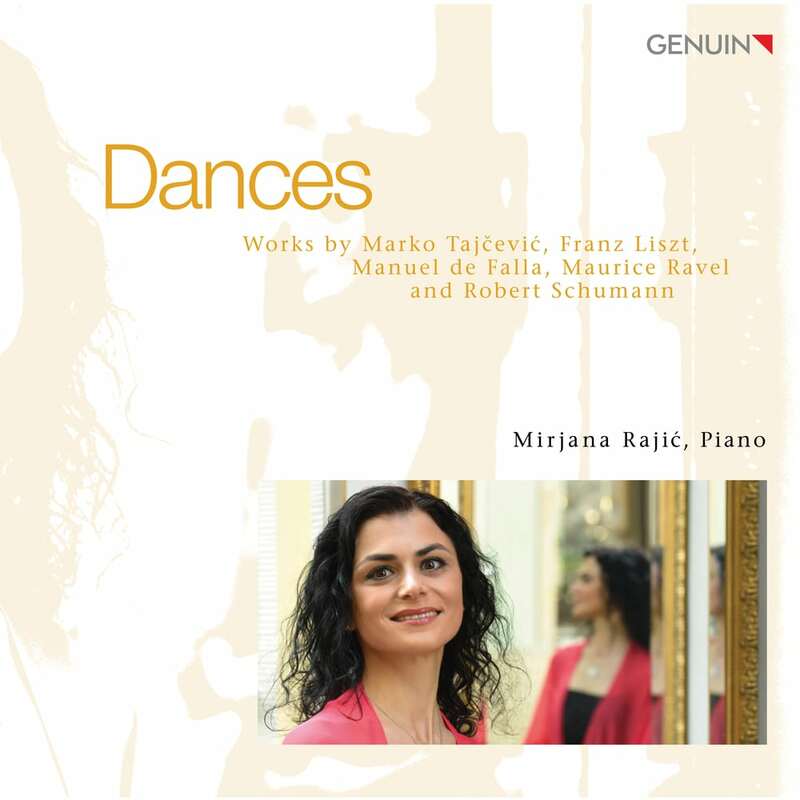 Mirjana Rajic, the young, internationally award-winning and celebrated pianist based in Dresden, pours her heart and soul into this release – and at an extremely high pianistic level! Born in Belgrade, Mirjana Rajic studied under legendary pianist Lazar Berman in Weimar and in Imola, Italy, in Belgrade under Srdjan Grbic and in Munich under Bianca Bodalia. She completed her piano performance degree with distinction in Dresden with Windfried Apel. She has also attended master classes with Andrew Ball, Aldo Ciccolini, Michel Dalberto, Rudolf Kehrer and Amadeus Webersinke. She is in great demand as a juror for international competitions and is herself the initiator and artistic director of the International Carl Maria von Weber Piano Competition in Dresden.